Scott Jr., will enter his second season with the Razorbacks after serving as defensive line coach in 2017. Scott Jr. spent the 2015 and 2016 seasons with the New York Jets, beginning as a defensive quality control coach in 2015 before being promoted to defensive line assistant coach. Prior to his time in the NFL, Scott Jr. spent time as a defensive line or outside linebackers coach at Texas Tech, Georgia Southern, Missouri State, Norfolk State and his alma mater Western Carolina. The Jets led the NFL in rushing touchdowns allowed and red zone defense in 2015, while finishing second in rushing defense and fourth in total defense. Both defensive tackle Muhammad Wilkerson and cornerback Darrelle Revis earned Pro Bowl Honors. Scott Jr. was promoted to defensive line assistant prior to the 2016 season in which the Jets finished fifth in the AFC in rush defense and rushing touchdowns allowed. Defensive tackle Leonard Williams earned a Pro Bowl nod. Scott mentored and coached a trio of defensive lineman at Texas Tech that worked their way into the NFL. In his first season, he tutored Kerry Hyder to All-Big 12 honors and an invite to the NFL Scouting Combine. In his first full season with the Detroit Lions in 2016, Hyder led the team with 8.0 sacks to go along with 36 tackles. Branden Jackson had his best season under Scott Jr. in 2014 as a junior before getting an invite to the 2016 NFL Scouting Combine. Jackson recently finished his rookie season with the Oakland Raiders. Prior to joining Texas Tech, Scott Jr. spent three seasons (2010-12) as the defensive line coach and special teams coordinator on three Georgia Southern teams that advanced to the semifinals of the FCS Playoffs. Along the defensive line, he mentored two All-Americans, including Brent Russell, who was an All-American all three years under Scott Jr. and finished as the program’s all-time sack leader. In 2011, the Georgia Southern defensive line featured Russell, All-American Roderick Tinsley and All-Southern Conference selection John Douglas. In 2010, Russell was a finalist for the Buck Buchanan Award for the nation’s top defensive player at the Championship Subdivision level. Scott Jr. was named defensive line coach at Georgia Southern in January 2010 after one season coaching outside linebackers at Missouri State and three seasons at Western Carolina coaching defensive ends and outside linebackers. 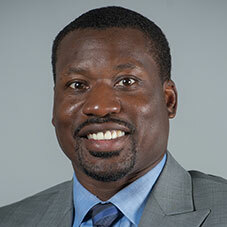 As defensive line coach at Norfolk State for the 2005 season, Scott Jr. helped the Spartans achieve a No. 12 national ranking in passing defense. That season, Norfolk State allowed just over 158 yards per game. The Greer, South Carolina, native attended the NCAA’s Minority Coaches Academy in 2008 after being selected from a pool of 400 applicants. A 2000 graduate of Western Carolina and four-year Catamount letterman, Scott returned to coach at his alma mater in 2006. An All-Southern Conference choice at defensive end in 1998, Scott Jr. had 17 tackles for loss. His career total of 31 tackles for loss ranks 10th in Western Carolina history. After earning his bachelor’s degree in communications from Western Carolina, Scott Jr. played three years of professional football, including two years with the Greensboro (N.C.) Prowlers of the Arena Football League 2. He was named the team’s Defensive Player of the Year in 2000. While playing for the Greensboro Prowlers, Scott Jr. gained coaching experience at the high school level as defensive line coach at West Davidson High School in 2001. Scott Jr. then went to Louisiana-Lafayette as a graduate assistant for two years, serving as a defensive line graduate assistant. He completed his master’s degree in education at Louisiana-Lafayette in 2006.